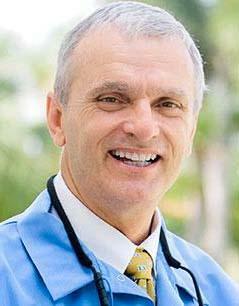 At Sarasota Family Dental, Dr. Michael R. Dorociak and our team practice with passion, expertise, and commitment. 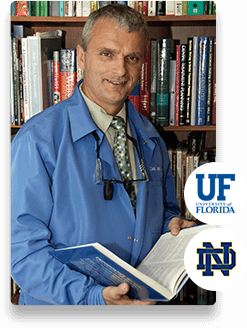 For over 30 years, Dr. Michael Dorociak has been providing high quality dental care to the residents of Sarasota, FL and the surrounding communities of Siesta Key, Fruitville, and Bayshore Gardens. As a leading dentist in Sarasota, Dr. Dorociak provides a comprehensive scope of dental services in our modern, high tech dental office. With a focus on family and cosmetic dentistry, we understand the most important person in our office is you! Not only do we want to provide you with the best dental treatment possible, but we also want to make sure you feel comfortable at our office. Dr. Dorociak and our dedicated and knowledgeable staff are committed to each patient's personal dental health and well-being. We want our patients to look forward to coming to our office, and we strive to make each experience with us wonderful and refreshing. Our goal is to create value by exceeding your expectations while making your dental experience as fun and rewarding as possible. We invite you to visit our Sarasota dental office to learn more about the excellent dental treatment we provide and to experience why Sarasota Family Dental is your dentist of choice. "Wonderful practice of caring and expert staff. Dr. Dorociak is awesome! I've had crowns and an implant and he was helpful, patient and encouraging through the process!" "I love being treated like I'm Special. I love going to the dentist and laughing. Thank you for the great work!" "There is not one person that stands out in the team... they all the equally tremendous! Always service with a smile on the phone or in person." "So glad we found Dr. Dorociak. Best dentist I know of. Very considerate and open to discussion and explanation. Hygienist was excellent too, and very helpful."